We have already seen a few free Internet Security Suites for Windows. Roboscan Internet Security is yet another free integrated security program for protecting your computers from outside online threats. 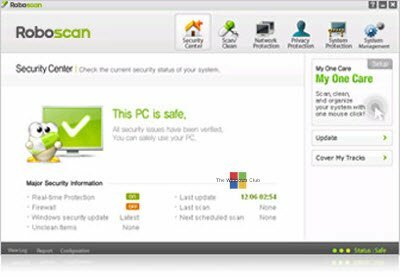 Roboscan Internet Security uses a Dual Engine security system (BitDefender and Tera engines) that provides Multi-Layer filtration for more thorough detection and deletion of online threats.